Give Us A Break is a voluntary group in and around Wolverhampton established to provide activities for children and young people with severe and complex learning difficulties. Parents can bring their children to activities that are appropriate to their needs and talk to other parents while their children enjoy themselves in a safe environment. Brothers and sisters are welcome to join in. Please be aware booking systems have now changed. Please make all bookings via email, to the address above or through the webpage at giveusabreak.me where there is a paypal link to make payments in advance. If you would prefer to make a bank transfer please email us at the address above for these details. You will need to email and state how many people you are booking and onto which activities. Some activities require booking in advance in order to secure a place. Tuesday 19th February – NEW ACTIVITY – Trampolining! This is a fully interactive session involving trampolining, ball pit, climbing wall, battle beam and dodge ball. Please arrive by 10.50am latest for sign in and the compulsory safety briefing. There is a cafe and viewing gallery on site. Important – you are required to watch the safety video and sign a waiver before entering the arena. A minimum of one responsible adult is required in the jumping arena for each child / young person. The waiver will be emailed to you on or after the 14th of February. This is a swimming pool session exclusive to the use of Give Us A Break families. You can arrive from 1.20pm. A centre which has a sensory room, main hall and outside area. With Messy Play! A whole Carriage on the Polar Express Train for GUAB families. £18 per person, Sold in multiples of 2, max 4 per family. Thursday 27th December – Sycamore! A large centre which has a large enclosed outdoor area with climbing frames, swings, bikes etc and also has an indoor area which has a sensory room, games and toys. Bring your own picnic and snacks as there will be no café available. Donation on the day, suggested donation of £2 per child/young person. Booking advised but not essential. 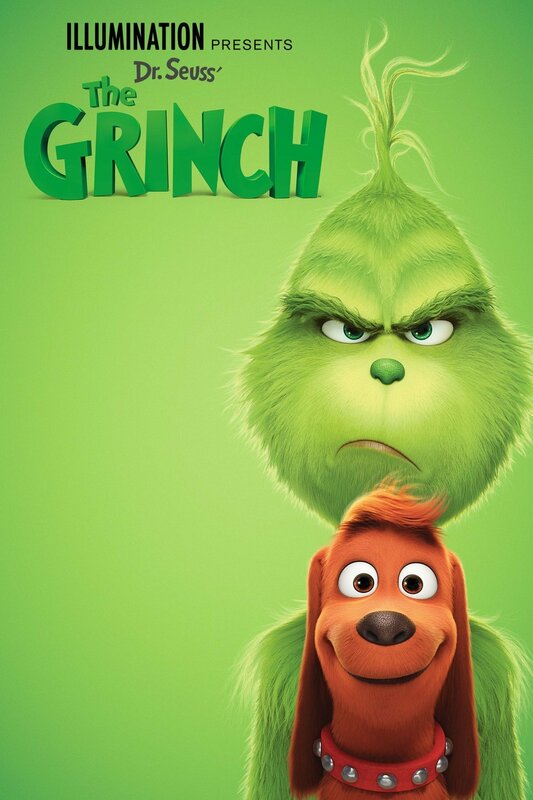 A private screen for Give Us a Break families of the film The Grinch, new 2018 film, starting at 10am. Please arrive by 9:50am to sign in and find a comfortable place to be seated. 28th December. Limited wheelchair spaces available so please email and enquire if you require a wheelchair space. This is a swimming pool session exclusive to the use of Give Us A Break families. You can arrive from 10.20am. Wednesday 31st October – Fireworks at Sycamore! Camp fire, small and quieter fireworks plus bonfire tea. Due to the nature of the event please ensure a safe adult to child ratio. Food options are burger and chips, hotdog and chips or pizza and chips. Tea or coffee with adult meals or squash with childrens meals. Donation on the day, suggested minimum donation of £5 per person. Booking required to ensure your meals. Food orders and payment by Friday 19th October. Payment on the door £5 per person without meal. A private hire of the venue which has a soft play and and sensory room. Portable hoist also available for use. Café onsite for drinks and food at additional cost. Donation: £3 per child/young person. Payable in advance or on the day. Booking advised but not essential. A centre which has a sensory room, main hall and outside area. With Lucy Mays Animal Experience! An activity centre which will provide the following activities: Trail, Pond dipping and animal session. Welcome to bring your own picnic to have lunch together after the activity. A centre which has a sensory room, main hall and outside area. With Big Top music therapy. Friday 3rd August – Coach Trip to CONKERS! Pick up at 9.30am and drop off at 5.00pm from Aldersley Leisure Village, Aldersley Road WV6 9NW. An action packed centre with outdoor adventure play areas including multiple climbing frames and water play, sensory walks, train rides, nature walks and a variety of adventure activities. Also indoor area with interactive omni mat, soft play area, educations interactive walls and displays, and café for lunch, or welcome to bring your own packed lunch. Donation: £7 per person, one carer free per disabled child/young person. Book by 1st June and payment by 29th June 2018. Sorry but this trip is now sold out. Specialised bikes hired for use in the hall at Aldersley Leisure Village. Children and young people will get to experience and use a variety of bikes during this session including side by side, balance, reciprocal, 3 wheeled bikes and go karts. If you have a bike helmet please bring this along to the session, however there will be a selection available. Donation: £2 per child/young person, booking and payment to be received by 3rd August. Limited spaces available. Sorry – this event has now sold out! A centre which has a sensory room, main hall and outside area. With Mess around with Messy Play! A coach trip to Drayton Manor. Coach leaving Aldersley at 9:30am and returning for 5pm. This is an action packed theme park with multiple rides suitable for all ages, along with a zoo and Thomas Land. It also has accessible changing space by the first aid department. Drayton Manor do offer fast track for disabled people, to access this please bring proof of disability (DLA, blue badge or PiP letter) and go to Guest Services once we arrive. Donation: £15 per person, booking by 1st June and payment to be received by 29th June. This event is now sold out. Donation : £2 per child / young person on the day to go directly to the Care Farm. Limited availability so first come first served. Booking essential by 29th July. There are limited places available and priority will be given to members who were not able to go at Easter with a reserve list for members who wish to visit again. A visit to the Moat, with sensory gardens, outdoor space, crafts and activities in art room and chance to go fishing with angling instructors. Welcome to bring own picnic and stay onsite after the session ends. There will be 2 sessions, 10-12pm and 12:30-2:30pm to be confirmed at booking. £5 per child/young person. Limited spaces. Booking and payment to be received by 17th August. Monday 27th August – Sycamore! Wednesday 29th August – Blue Planet Aquarium Coach Trip. Pick up and drop off from Aldersley Leisure Village, Aldersley Road, WV6 9NW. Coach leaving Aldersley at 9:30am and returning for 5pm. A trip to Blue Planet Aquarium in Cheshire. An aquarium with daily shows, talks and feeds with both fish and animals. There are shark tunnels, otters, crocodiles, flooded forest, aqua theatre and many more areas to explore, including pirates play area. £12 per person, 1 carer free per disabled child/young person. Under 2’s free. Booking by 1st June and payment to be received by 29th June. This trip is now sold out. A centre which has a sensory room and outside area. Today’s session includes Carlos the Clown. Donation: £2 per child / young person, payable in advance or on the day. Booking advised but not essential. Thursday 31st May – Chippy Tea and SNAP! Private Hire of SNAP, for GUAB families, which has large outdoor play area, indoor soft play and sensory room. Price includes a chippy tea for child/young person with Parent/Carers meals also available for the same price. Child/young person’s meal choices – Jacket potato and beans or Chicken nuggets, Fish Fingers or sausage and chips. Parent/carer meal choices – Jacket potato cheese and beans, mini fish and chips or sausage and chips. £4 per child / young person with meal Parents / Carers Free without food, or £4 with chippy tea. Please state your food order when booking. Book in advance, food orders and payment to be made by Friday 25th May. A centre which has a sensory room and outside area. Today’s session includes Carlos the Clown, drumming and ‘plant a seed’. Monday 7th May – May Day Sycamore Madness! Cost: £2 per person, payable in advance or on the day. Booking advised but not essential. Donation: £7 per person with hydro pool or £5 per person without with 1 carer per disabled child / young person free. Payment and booking at least 72 hours in advance, but get in early as this event often sells out, particularly the pool slots. A maximum of 8 swimming slots available per session, these will be allocated on a first booked priority basis. A centre which has a sensory room and outside area. Today’s session includes Lucy Mays Animal Sensory Story. Donation: £2 per person, payable in advance or on the day. Booking advised but not essential. A visit to the zoo. Meeting in the entrance for a trip around the zoo. Please note there is no transport provided for this activity, but the zoo is a short walk from Dudley bus station. The zoo is on a steep hill, there is a regular train to ride up the hill but this does not cater for wheelchairs. For additional cost there are fairground rides, face painting, cafes onsite, or you can take your own picnic. £6 per adult (over 18), £5 per child (under 18), 1 Carer Free per disabled person. Under 2’s Free. Booking and Payment to be received by Friday 30th March. Donation : £2 per child / young person on the day to go directly to the Care Farm. Limited availability so first come first served. Booking essential by 30th March. UPDATE – This event is now SOLD OUT. Donation: £7 per person, pay in advance and booking 72 hours in advance. A maximum of 8 swimming slots available per session, these will be allocated on a first booked priority basis. This is a swimming pool session exclusive to the use of Give Us A Break families. Donation – £5 per person but one carer per registered disabled child/young person with GUAB Free. Booking and payment to be received by Friday 16th February. Limited wheelchair spaces available so please email and enquire if you require a wheelchair space. A coach trip to West Midlands Safari Park, Leaving Aldersley at 9:30am and returning for 4pm. This trip will include a drive around the safari park followed by a visit to Santa and time to explore the rest of the park, including seeing shows and the new Boj Giggly Park. The rides are not in operation. A large centre which has a large enclosed outdoor area with climbing frames, swings, bikes etc and also has indoor area which has a sensory room, games and toys. Bring your own picnic and snacks as there will be no café available. An hour long narrow boat journey, wheelchair accessible. Please email if you require a wheelchair space as these are limited to 3 per session. We suggest that you bring a packed lunch to eat during the scenic trip. Cost: £3 per person, pay in advance, booking required 48 hours in advance. Sorry – as of the 1st of October this is now fully booked! Some pictures from our visit. This event always sells out early so you need to get in quick if you see it advertised! A coach trip to Cadbury World. Coach leaving Aldersley at 9:30am and returning for 4pm. Please bring proof of disability (DLA, blue badge or PiP letter) in order to access a yellow lanyard for fast tracking. Donation: SEN child (4-18) – £6.50, SEN Adult – £6.50, Carer – £6.50, Additional child – £11, Additional Adult – £11. Limited numbers, Booking and payment by 29th September. STOP PRESS – Please note that the End of Summer Party has been moved from Gatis Street to Old Fallings and at a slightly later time. This is not shown in the pdf version of the schedule but if you scroll down this page to the entry for this event then the up to date details are shown there. A centre which has a sensory room, outside area and cooking facilities. Todays session includes Lucy Mays Animal Sensory Story and baking cookies. Donation: £3 per child/young person, payable in advance or on the day. Booking advised but not essential. Note – this event is not shown on the downloadable events list above as it has been arranged very recently. It is shown on the matrix at the bottom of this page though. A brand new event for us. We will be shown around the animals and interact with them. We will possibly be able to feed and groom some of them. There will be arts and craft activities plus an outdoor music session including drumming. There will also be time for a picnic so please bring food and drink for this. Donation : A small donation per person on the day to go directly to the Care Farm. Booking advised but not essential. A great day out for everyone! If a little damp! Donation: £18 per person, booking and payment to be received by 21st July. Numbers are limited. Specialised bikes hired for use in the hall at Aldersley Leisure Village in Hall D. Children and young people will get to experience and use a variety of bikes during this session including side by side, balance, reciprocal, 3 wheeled bikes and go karts. If you have a bike helmet please bring this along to the session, however there will be a selection available. Donation: £2 per child/young person, booking and payment to be received by 4th August. Limited spaces available. A multi roomed centre, with café, large hall and outdoor play area. Outdoor area with climbing frames and water play. Crafts and Camp Fire Bread. This has large outdoor area, soft play indoors, and projector room. This session will also have bouncy castle hire. Not only will the Express and Star be covering this event but the Mayor and Mayoress of Wolverhampton will be there as well! So can we have as many members as possible? Thanks! We hope that the Mayor had as much fun as we did! A coach trip to Chester Zoo. Coach leaving Aldersley at 9:30am and returning for 5pm. Chester zoo has over 15,000 of the world’s most exotic and endangered animals to discover in 125 acres of award-winning gardens. Changing place also onsite. Donation: £15 per person, one carer free per disabled child/young person. Booking and payment to be received by 21st July 2017. A centre which has a sensory room, outside area and cooking facilities. With making wind chimes and baking bread. Bilston Magazine are attending this event so please can we have as many members as possible! This was previously advertised at an earlier time at Gatis but has now moved to Old Fallings. This is up to date and replaces what is printed in the pdf version of the summer activities. Large outdoor area, soft play area indoors and projector room. End of Summer party with Surprise activities! We are in the Gateway between 147 and 149 Old Fallings Crescent. Try to arrive on time as the car park gates will be closed at 1.45pm and you will need to park on the street and enter by foot. This is a large centre which has a large enclosed outdoor area with climbing frames, swings, bikes etc and also has indoor area which has sensory room, games, craft and toys. Cost £1 per person suggested donation, payable on the day. Booking recommended but not essential. Look at what fun we had! A large multi-sensory roomed centre which includes soft play, dark tunnel, Omni mats, outside area and hydro pool for private family/group use. Cost: £7 per person, pay in advance and booking 72 hours in advance. A maximum of 8 swimming slots available per session, these will be allocated on a first booked priority basis. Friday 2nd June – Coach Trip to CONKERS! Pick up and drop off from Aldersley Leisure Village. Donation: £5 per person, one carer free per disabled child/young person. Book in advance and payment by 26th May 2017. Spaces are limited on this trip. There are some slight changes to the swimming session on 11th April. Swimming will still be going ahead as usual at 10:30am, however there are people using the pool before us. Therefore please make sure you are on time and ready to go in the pool for 10:30am, at 10:30 the previous group will come out the pool allow us in to transition in. We are aware for some children and young people the wait for the other group to come out may be difficult, so the small pool will be available for you to go straight into to help minimise this. It is advised to also use the lockers which use a £1 coin as we will be sharing the changing rooms. The £1 is returned. We have a bouncy castle booked as well! ⭐️please enter the gates between houses 147 and 149 to access the playground and sign in. ⭐️Gates will not open until all required safety checks have been done so please don’t arrive too early. ⭐️ We have quite a few people booked into this event. There is some parking onsite straight through gates or down path turning right once in gates, but gates will close for safety reasons after a certain time after this please park in street considerably and walk into the playground. Donation on the day, suggested donation of £1 per child. Booking advised but not essential. Unit 17, Cedar Court, Halesfield 17, Telford, Telford and Wrekin TF7 4PF. A private hire of the venue which has a soft play centre, and sensory room. Café onsite for drinks and food at additional cost. £3 per person, 1 carer free per disabled child/young person. Payable in advance or on the day. Booking advised but not essential. Oh – we had a blast! ⭐️Water play will be available so you may need a change of clothes with you. ⭐️ You are welcome to bring your own snacks or a picnic also vending machines for snacks and hot drinks on site. ⭐️Great space with a great indoor space, fab outdoor play space and sensory room. Cost £2 per person, payable on the day direct to sycamore centre. A private hire of the cinema for Give Us a Break families featuring the film Trolls! Lighting will remain on low, the volume reduced and no adverts before showing. Families are welcome to bring their own snacks. Donation: £1 per person, payable in advance or on the day. Booking advised but not essential. Please be aware the film will start at 11am, it is advised to arrive at 10:45 to book in. Brickiln Centre, Cherry Street, Wolverhampton, WV3 0QW A centre which has a sensory room, outside area and cooking facilities. Activities vary each session, for Easter we have a music therapy session focusing on the sounds of space. Donation: £2 per person, payable in advance or on the day. Booking advised but not essential. An hour long narrow boat journey, wheelchair accessible. Please email if you require a wheelchair space as these are limited to 3 per session. Update – All swimming slots for the February half term visit have now been booked. If you have booked in January then you have a slot. if you book this activity from now on you won’t be guaranteed a session in the hydropool but please bring your things in case any children decide they don’t want to swim for any reason on the day! Look what a fun time we had! This is a large centre which has a large enclosed outdoor area with climbing frames, swings, bikes etc and also has indoor area which has sensory room, games, craft and toys. Café onsite selling drinks and food. We were unfortunately gate crashed by Storm Doris who had not filled in a Joining Form, didn’t pay and was not properly supervised. Look what a great time we all had! An adventure centre with outdoor play, large hall with Christmas themed craft, decorating gingerbread and café onsite. We have also specially hired a large disco dome with music and lights and inflatable ball pit for the Christmas Fun Day. Cost : £3 per person, payable in advance or on the day. Booking advised but not essential. Stop Press – what a successful, well attended and fun event this turned out to be! We have an entire carriage to ourselves! Stop Press – WOW – What a sensation! Stop Press – Another great fun day! A centre which has a sensory room, outside area and cooking facilities. Activities vary each session. A multi roomed centre providing activities, sensory room and enclosed outside area. See timetable for planned activities. Cost : £2 per person, payable in advance or on the day. Booking advised but not essential. A hour long narrow boat journey, wheelchair accessible. Please email if you require a wheelchair space as these are limited to 3 per session. A private interactive session with the donkeys, which includes feeding and grooming. Next to Sutton park with play area. Cost: £2 per person, pay in advanced, booking required 48 hours in advance. Coach trip to Drayton Manor theme park. Coach leaves Aldersley Leisure Village at 9:30am return time 5:30pm. Wheelchair accessible coach, but please contact us if you require a wheelchair space as these are limited. Please bring proof of disability (DLA letter/Blue badge) to this trip as this may be asked for in order to get queue jump wristband. Cost: £20 per person, pay in advance, booking required by 1st August 2016. For information and enquiries please email guabactivities@gmail.com or call or text 07854 252 328. This is a pool session exclusive to our group. There is a smaller toddler pool available. Monday 4th April – 10.30am to 1pm: Green Park School, Green Park Lane, Bilston, Wolverhampton. This is a sensory room with activity areas for children to explore indoors and outdoors. Cost: £2.00 per person, payable in advance. Meet coach at Aldersley Leisure Village car park at 10am (also pick up from Faulkland Street Coach Park) to return by 4.00pm. Cost: £12.50 per person, including coach, payable in advance. Places will not be booked until paid for. A full cooked breakfast with Christmas Craft activities for the children and a visit from Santa. Cost: £7.50 per head, including gift from Santa. Places will not be booked until paid for. Tuesday 22nd December – 10.30am to 11.30am: Swimming at the Royal School Pool, Penn Road, Wolverhampton. Children need a responsible adult in the pool with them. Cost: £2 per person in pool, payable on day. Tuesday 29th December – 10.30am to 11.30am: Swimming at the Royal School Pool, Penn Road, Wolverhampton. Wednesday 30th December – 12pm to 3pm: Visit to Snoezelen Centre, Turnpike Way, Worcester. This is a fantastic sensory centre with multiple sensory areas for children to explore.